Limited to 166 hand-numbered copies colour in colour vinyl in gatefold sleeves + poster + a digital download code. 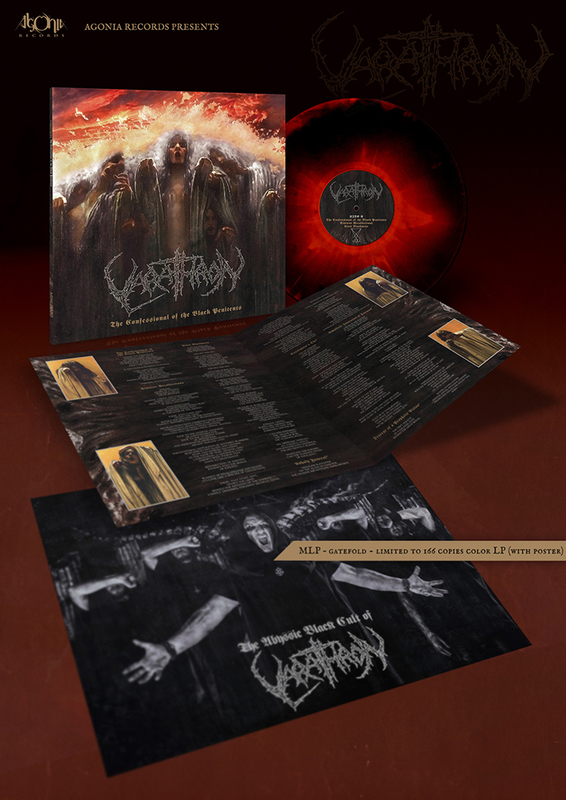 Greek black metal legends, VARATHRON, are gearing up to release a new seven-track EP, called "The Confessional Of The Black Penitents". Itfeatures three brand new tracks and four songs recorded live, with a total playing time of 40 minutes. The live tracks were recorded in Larisa (Greece) on the 16th of May, 2015 and mastered by Achilleas Kalantzis (guitars). Tracks 2 &amp; 3 have been recorded and mixed at Infinite Loop Music Studio (Greece) and mastered by Tom Kvålsvoll at Strype Audio (1349, Arcturus, Darkthrone, Emperor, Code, Ulver) in Norway. The front cover artwork and layout include paintings by Carlos Schwabe (July 21, 1866 - 22 January, 1926); a Swiss Symbolist painter and printmaker. The band commented: "Infernal warriors we salute you! The Abyssic Black Cult strikes again! "The Confessional... " is the closing chapter of "Untrodden.." era. Featuring 3 brand new tracks of amazing occult atmosphere. For the first time we also include 4 live tracks from our show in Greece in 2015. 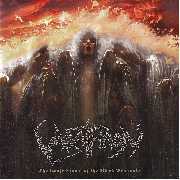 Classic masterpieces from the dark past like "Unholy Funeral" and "Cassiopeia's Ode" will be unleashed upon you"!